Considering getting a Welsh Collie? The Welsh Collie is believed to have emerged in the 19th century. It is a “true” working dog that is native to Wales, which makes it a rather rare breed. Very intelligent, highly active, and supremely trainable, the Welsh Collie shares many similarities with the Border Collie. Its main distinction is that its manner of working is “loose-eyed.” Whilst the Border Collie works with its eyes fixed on the flock it is herding, the Welsh Collie shifts about without losing its focus on the task at hand. The Welsh Collie has a double coat that does not need trimming but needs to be groomed regularly. Its medium-sized body is rangier than the Border Collie. As it is a high-energy breed with a strong herding instinct, the Welsh Collie is not suitable for first-time owners and families living in apartments. It is more content when in a working environment, unlike the Border Collie. It is not known exactly how the Welsh Collie came about and what its canine ancestor is. It has been speculated that this breed originated from the Gellgi (“covert hound”), which is a herding and hunting dog endemic to Wales. Herding dogs in Wales date back to 800 years, as documented in centuries-old records. They were very valuable as they not only helped drive livestock for hundreds of miles but also protected them and their owners. Although there were many varieties of herding dogs native to Wales, the working breeds dwindled to just 3 by the 1940s. Cross breeding nearly wiped out all of them, with the Welsh Hillman and the Black-and-Tan Sheepdog, which are among the oldest breeds, barely hanging on for survival. The Welsh Collie, as we know it, is a combination of the sable Welsh Hillman, the Black-and-Tan Sheepdog, the Border Collie, and the Old Welsh Grey. In 1997, the Welsh Sheepdog Society was launched in order to preserve these Welsh working breeds. However, considering the Welsh Collie has been bred with many other sheep dog breeds, only one identifying characteristic is used to judge whether a dog is a genuine Welsh Collie. And that is the “loose eye” working style. Currently, The Kennel Club still has not acknowledged the Welsh Collie as a breed of its own. The Welsh Collie’s height ranges from 45 cm to 55 cm, whilst its weight is between 13-20 kg. The ones in northern Wales are said to be lighter (16 kg) whilst the ones in the south are heftier (up to 20 kg). With a medium-sized body longer and leaner than that of a Border Collie, the Welsh Collie moves with grace and balance. Compared to its cousin, it has a wider muzzle and chest. Its strong mouth houses a set of teeth with a perfect scissor bite. It has a muscular set of legs that can cover a considerable distance with each stride. The paws are oval and decked with short nails. Its tail is moderately long and is carried low, ending in a slight curl. 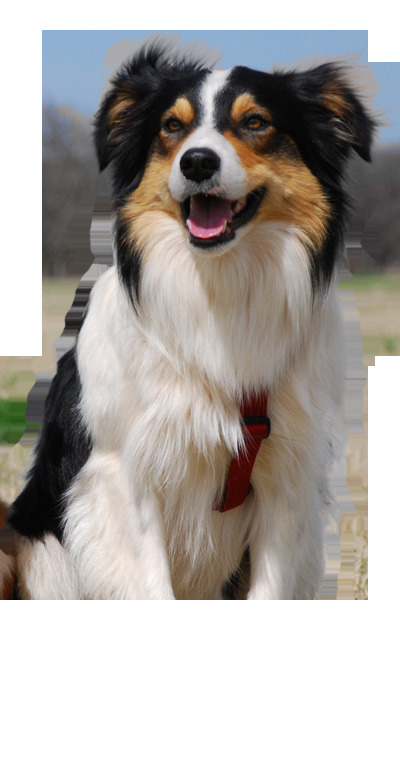 There are two types of coats among the Welsh Collies – rough and longish or short and smooth. Both types are double coated to protect the dog from the cold and wind. Although the Border Collie comes in a variety of colours and patterns, the most common are merle, black and white, and red and white. The third variety is said to be the marking pattern of the Welsh Sheepogs of days past. If there is any white in the dog’s coat, it never is the dominating colour. The Welsh Collie’s coat should be regularly groomed (weekly) to keep it in good condition and prevent allergies. As a true working breed, the Welsh Collie is at its element in a working environment, herding and driving livestock. 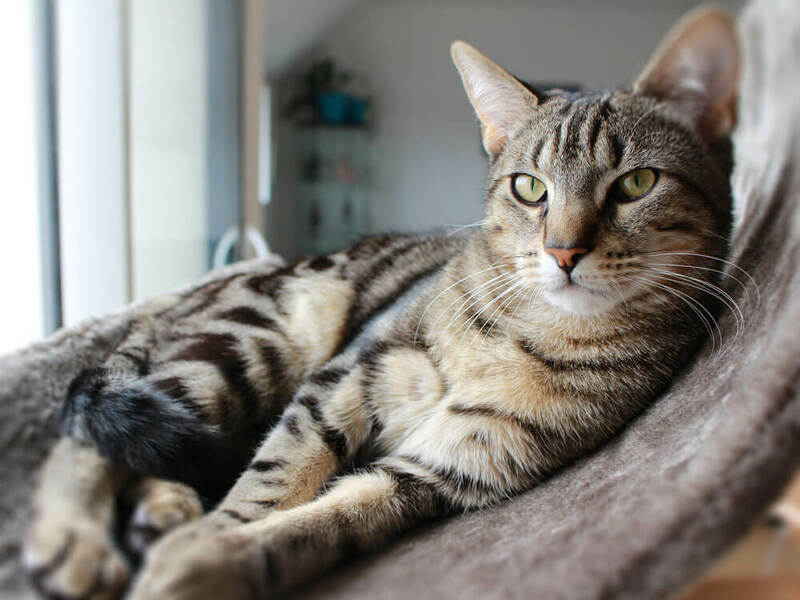 It has a high energy, great intelligence, excellent stamina and agility, and keen alertness. It is great at taking instructions from its master, but it is also capable of making decisions independently. It has such a strong will that it can manoeuvre a thousand-pound cow on its own or drive jammed sheep out of a pen by running across their backs. Although the Welsh Collie may be cautious with strangers, it usually does not become aggressive and would rather keep its distance. With its strong herding drive and high energy, the Welsh Collie will not do well being kept merely as a pet. Its need for high activity and mental challenge also does not make this independent breed a good fit for first-time owners and families with young children. In fact, the Welsh Sheepdog Society will only provide this breed to working farms. However, it is very loyal to its master and is naturally protective of its household. Socialising a Welsh Collie at a very early age helps restrain its herding instinct. Positive reinforcement training done firmly but gently also helps a Welsh Collie pup shape up to become a well-adjusted pet. The Welsh Collie, due to its high energy and activity, should be fed twice a day. Puppies are to be given nutritious, high-quality diet 3 to 4 times daily. The portion should be in accordance to their age and build, ranging from 153 grams to 257 grams for pups between 2 and 12 months. Adult Welsh Collies weighing 13 kg can be given 178-234 grams of food a day, in accordance to their activity level. For those weighing 18 kg, 214-282 grams is the recommended range. On average, the Welsh Collie can live from 12 to 15 years. Whilst it is a sturdy breed, it is not immune to health concerns. However, as the documentation of the breed has only begun in 1997, congenital or hereditary risks have not yet been determined. As such, it is recommended that the dogs used to breed the Welsh Collie be checked beforehand to ensure the purity and health of the breed. As mentioned, the Welsh Collie needs more exercise than some other breeds to keep it stimulated and happy. About 2 hours of activity daily is the minimum, and more is ideal. However, Welsh Collie puppies need not be exercised as much as their bones are still developing. As the Welsh Collie is an uncommon breed, it takes time to acquire a puppy. Should there be one available (usually after being put on a registration or waiting list), you may need to pay about £500 and above for a pup. The costs of insurance can range from £20.5 annually (basic) to £43 (lifetime) monthly. Good quality food can range from £40-50 every month. Veterinary expenses, including vaccinations, health checks, and spaying/neutering, may reach £1,000 annually. Overall, the average expense in caring for a Welsh Collie is about £70-£100 each month. This is dependent on the insurance coverage. Annually, overall cost estimates can range from £10,800 to £18,000. Is a Welsh Collie Right for You? The sturdy Welsh Collie is a true working dog at its happiest in a working environment. This breed is highly intelligent and active, as well as a natural protector and a loyal companion. As an independent breed, this dog can think on the fly and make decisions on its own. However, it can also take instructions from its master. The Welsh Collie’s grooming needs are minimal due to its easy-to-groom double coat. Due to its need to be kept busy and mentally challenged, this breed is not suitable for first time owners and families with young children. It is also not suitable for urban living or being kept merely as a pet. The Welsh Collie is at its element in a farm or with owners who engage in a lot of activity (mountaineers or regular dog show competitors).